– Dean Graziosi’s personal success habits and beliefs to catapult you to the next level of life. 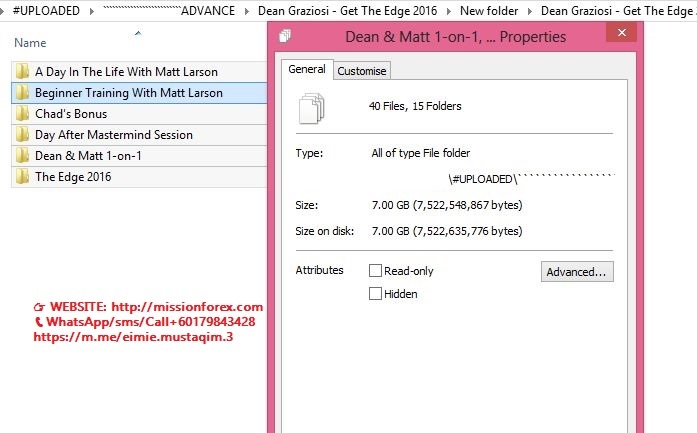 – The ability to steal the secrets, strategies and processes of ten different top students sharing exactly how they are profiting from real estate right now. Are you worried about the risks associated with the stock market? Are you tired of seeing your returns diminish month after month, quarter after quarter? Are you looking to potentially increase your trading profits AND reduce your risk level? How do you do this? With ETFs. TradingMarkets is excited to announce the launch of High Probability ETF Trading. Written by Larry Connors and Cesar Alvarez, this book is designed to give you the trading edge you need for success. The strategies have been tested back as far as 1993, all of which have performed with a high accuracy, some up to 90%. While there are many ways to trade ETFs, applying these strategies can increase your trading success. 1. ETFs Are Safer Than Stocks – There is less single stock corporate risk as ETFs are a basket of underlying securities. With multiple securities, you aren t subject to the wide array of risk including corporate scandals, after market earning reports, and other factors that affect individual stocks. 2. Trade ETFs On Both The Long And Short Side – This enables the opportunity to profit in both rising and declining markets. 3. Trade ETFs With or Without Leverage – Many traders like the idea of getting added leverage in their trading and the newly released leveraged ETFs have seen tremendous volume growth as active traders have gravitated to them. 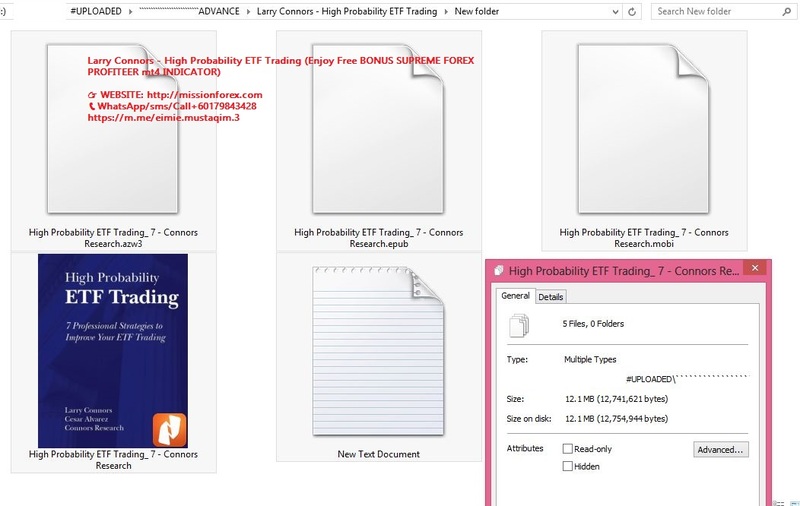 What You Will Learn From Reading High Probability ETF Trading. In this book, you will learn 7 ETF strategies that have been tested on a universe of 20 of the more liquid ETFs including the SPYs and QQQQs. Each strategy was tested since the inception of the trading of each ETF. How Well Have the Strategies Performed? The strategies you will learn resulted in over 80% winning trades since October 2008 in the Larry Connors’ Daily Battle Plan. How Do the Strategies Work? You will identify the signals at the close of the day. Then, you simply place your orders and exit when the signal occurs, usually 3 to 7 trading days later. That’s it! Are the Strategies Difficult to Learn? No! In fact all have only a few rules and all the strategies can be learned in an evening. You’ll be able to apply the strategies to the next trading day. Do You Have Strategies for Shorting ETFs? Yes. Every strategy is designed to be traded both on the long side (especially for bull markets) and the short side (especially for bear markets).